Dr. Evgeny Alexandrov and Prof. Davide Proserpio were lecturers of a scientific school in Stockholm. 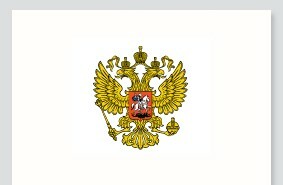 Extension of grant financing from the Russian Science Foundation (RSF). The project of SCTMS “Hybrid topological-quantum-chemical methods for prediction of adsorption, catalytic, and sensor properties of microporous framework and low-dimensional materials” (2016-2018) was successfully completed and was highly appreciated by RSF experts. The application for the extension of the project for two years (2019-2020) was supported with maximum funding. Dr.Evgeny Alexandrov finished a long-term business trip to Milan. 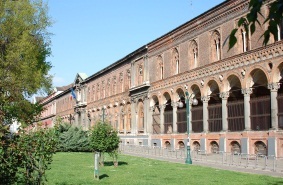 The Head of the Laboratory for the Synthesis of New Crystalline Materials of the SCTMS Dr. Eugeny Alexandrov performed the synthesis of coordination polymers at the University of Milan (Italy) from March 4 to 26. The work was carried out in collaboration with Prof. Lucia Carlucci and Prof. Davide Proserpio. The project of Dr. Evgeny Alexandrov received grant support from the President of the Russian Federation. Professor V.A. Blatov is visiting NWPU. Prof. Vladislav Blatov, the director of SCTMS, is visiting Northwestern Polytechnic University (NWPU) (Xian, China). In 2018, an agreement on the establishment of the China-Russia Joint Innovation Center at the Samara State Technical University (Samara Polytech) and NWPU. Within the research program of this center, current visit is dedicated to development of contacts between SCTMS and different NWPU research groups. SCTMS employees continue working with Dr. Tilmann Leisegang. Dr. Tilmann Leisegang from the Institute of Experimental Physics TU Bergakademie Freiberg (IEP TUBAF, Germany) is again visiting the SCTMS. 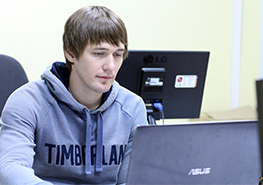 His monthly stay in Samara (February 8 - March 10) is devoted to work in several scientific fields and writing a joint applications for grant funding. SCTMS employees spoke at the forum “Theoretical Materials Science” in Samara State Transport University. 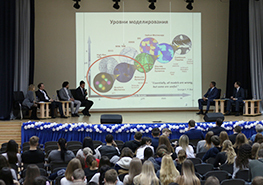 Together with SCTMS, the Samara State Transport University organized a forum “Theoretical Materials Science” within the framework of their scientific marathon. 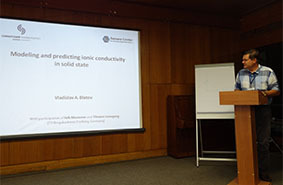 On February 22, Professor Vladislav Blatov, Dr. Evgeny Alexandrov and a SCTMS guest Dr. Tilmann Leisegang (Freiberg, Germany) gave presentations on promising developments in materials science. Prof. Davide Proserpio arrived in Samara. 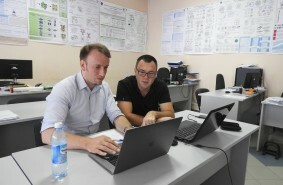 The ten-day visit of Prof. Davide Proserpio (University of Milan, Italy) to Samara relates to two areas of scientific cooperation: first, it continues the work on the kinetic 3D partition model and its use in modeling crystal growth, second, the discussion of the project on the research and design of metal-organic frameworks. Visit of Adam Hill and Prof. Michael Anderson to SCTMS. From February 11 to 15, our colleagues from the University of Manchester (UK), Prof. Michael Anderson and PhD student Adam Hill are working at SCTMS. Our cooperation includes the development of a unified kinetic 3D partition model to predict the growth of crystals of substances of various nature. Congratulations to Nadezhda Nekrasova on successful defence of a PhD thesis. 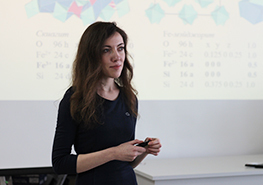 On December 13, 2018 Nadezhda Nekrasova, a research assistant of Samara Center for Theoretical Materials Science, successfully defended her Ph.D. thesis (dissertation advisor – Prof. Svetlana Kurbatova). 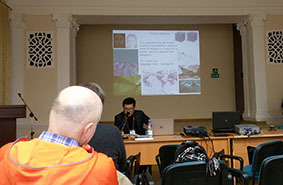 Aleksandr Shevchenko gave a guest lecture at NUMGRID 2018-Voronoi150. A senior research scientist of Samara Center for Theoretical Materials Science, Aleksandr Shevchenko took part in the 9th International Conference “Numerical Geometry, Grid Generation and Scientific Computing” (NUMGRID 2018-Voronoi150) held on December 3-5, 2018 in Moscow. Artem Samtsevich researching at SCTMS. On November 19-24, 2018, Samara Center for Theoretical Materials Science is hosting a PhD student and a staff member of Computational Materials Discovery Design of Skolkovo Institute of Science and Technology (Skoltech) Artem Samtsevich. His mission to SCTMS is aimed at studying tungsten borides and discussing a prospective research paper. SCTMS launched a public lecture course. 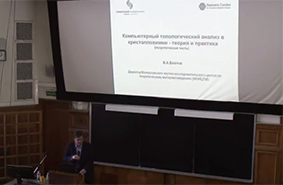 Samara Center for Theoretical Materials Science launched the public lecture course “Methods of Theoretical Materials Science”. On November 9, 2018, Prof. Blatov gave the first lecture “The main approximations of quantum chemistry” within the course. 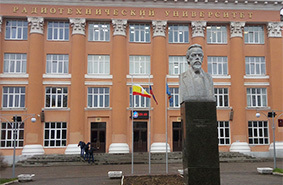 Taras Panikorovsky in Samara Center for Theoretical Materials Science. Taras Panikorovsky, a junior research scientist of the Center of Nanomaterials of Kola Science Center of the Russian Academy of Sciences (KSC RAS) (Murmansk Region, Apatity) worked at SCTMS on November 5-10, 2018. Establishment of China-Russia Joint Innovation Center for Advanced Materials. 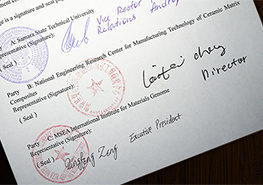 Samara Center for Theoretical Materials Science of Samara State Technical University (SamaraTech) concluded the agreement of cooperation with the National Engineering Research Center for Production of Ceramic Matrix Composites (PR China) and the International Institute for Materials Genome (MSEA, PR China). Prof. Blatov gave a report at Forum MGE in China. 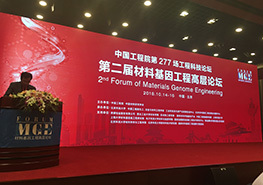 Within four-week business trip to China Prof. Vladislav Blatov participated in the Second Forum of Materials Genome Engineering held on October 14-16, 2018 in Beijing. More than 100 scientists from China, UK, USA, Japan and Germany took part in the forum. Nadezhda Nekrasova and Adrey Golov participated in the Conference of Young Scientists in Skoltech. 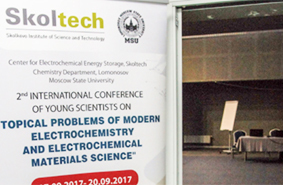 The research scientists of SCMTS Nadezhda Nekrasova and Andrey Golov took part in 3rd International School-Conference of Young Scientists “Topical Problems of Modern Electrochemistry and Electrochemical Materials Science” held on September 23-26, 2018 in Skoltech. The conference was initiated and organized by Skoltech Center for Electrochemical Energy Storage (CEE). Congratulations to Pavel Zolotarev on successful Ph.D. defense. On September 25, 2018, Pavel Zolotarev, a junior research scientist of Samara Center for Theoretical Materials Science, successfully passed Ph.D. defense (dissertation advisor – Prof. Vladislav Blatov). 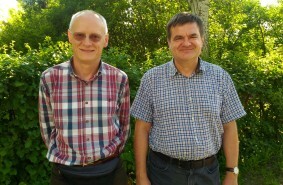 Prof. Vladislav Blatov gave lectures at the 15th USPEX Workshop. Prof. Vladislav Blatov gave lectures within the 15th Workshop “Crystal structure prediction using USPEX code” (September 17-19, 2018, Skoltech, Moscow, Russia). Elizaveta Timofeeva took part in the International Meeting 2018 “Fundamental Problems of Solid State Ionics”. A research assistant of SCTMS, Elizaveta Timofeeva made a poster presentation at the 14th International Meeting 2018 “Fundamental Problems of Solid State Ionics” (September 9-13, 2018, Chernogolovka, Russia). Anna Sinelshchikova came to SCTMS. 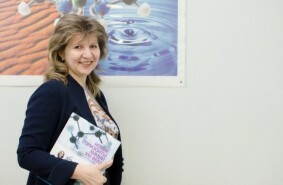 Anna Sinelshchikova, a senior research scientist of the Laboratory of New Physicochemical Problems of A.N. 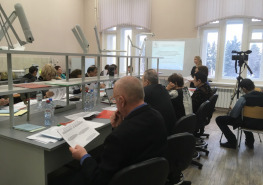 Frumkin Institute of Physical Chemistry and Electrochemistry of the Russian Academy of Sciences (Moscow), is currently working at Samara Center for Theoretical Materials Science. Prof. Davide Proserpio made a working visit to SCTMS. On September 8-16, 2018, Prof. Davide Proserpio (the University of Milan) made a working visit to Samara Center for Theoretical Materials Science. The scientists of SCTMS and Prof. Proserpio discussed several projects concerning the study of metal-organic frameworks. 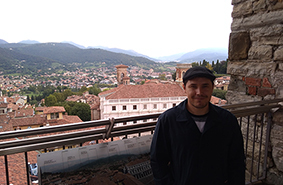 Matthew Addicoat (University of Nottingham Trent, UK) is doing research at SCTMS. 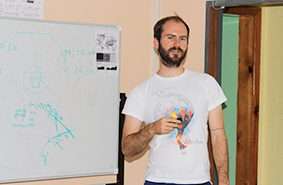 A research scientist of the faculty of science and technology of the University of Nottingham Trent (UNT, UK) Dr. Matthew Addicoat arrived to Samara Center for Theoretical Materials Science to conduct the research under the project on prediction of properties of microporous framework materials. He will stay in Samara until September 15, 2018. Prof. Blatov is among plenary speakers of SMARTER6. 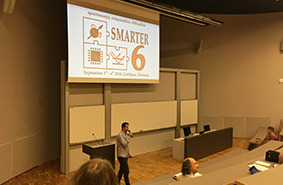 Prof. Vladislav Blatov gave the plenary report on modeling methods of porous materials at the 6th SMARTER meeting held in Ljubljana (Slovenia) on September 2-6, 2018. Eugeny Alexandrov came back from a short-term professional trip to Milan. Eugeny Alexandrov and Andrey Golov conducted research at the University Nottingham Trent. 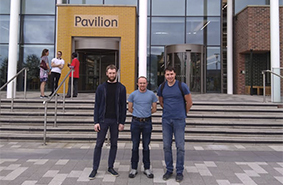 Andrey Golov and Eugeny Alexandrov, the scientists of Samara Center for Theoretical Materials Science, were on the mission to the University Nottingham Trent (UNT, UK) on August 14 to 22, 2018. The purpose of their trip was implementation of activities under the grant project funded by the Russian Foundation for Basic Research (RFBR) and the Royal Society of London. 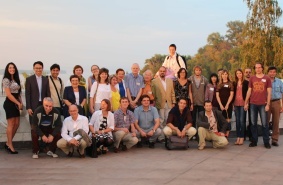 SCTMS scientists took part in ECM31. On August 22-27, 2018, the 31st European Crystallographic Meeting (ECM18) was held in Oviedo, Spain. 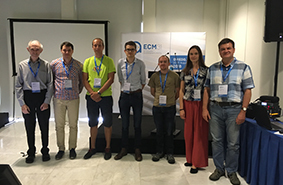 Scientists of Samara Center for Theoretical Materials Science Tatiana Akhmetshina and Eugeny Alexandrov took part in ECM18 and presented their reports. Prof. Blatov took part in ICCC 2018. 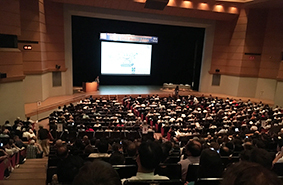 Prof. Vladislav Blatov gave a report as an invited speaker at the 43rd International Conference on Coordination Chemistry (ICCC 2018) held during July 30 to August 4, 2018 in Sendai (Japan). Artem Kabanov took part in ISSFIT-13. 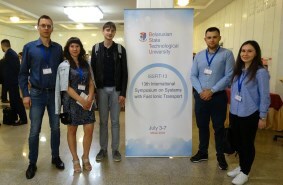 Artem Kabanov, a senior research scientist of Samara Center for Theoretical Materials Science, took part in the 13th International Symposium on Systems with Fast Ionic Transport (ISSFIT-13) held on July 3-7, 2018 in Minsk (Belorussia). 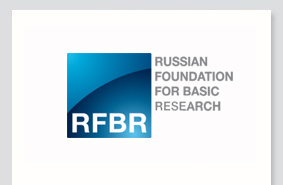 SCTMS won a grant of Russian Foundation for Basic Research. 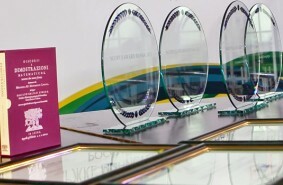 The project of Prof. Vladislav Blatov, the director of SCTMS, entered the list of winners of the Russian Foundation for Basic Research competition of the best scientific projects of interdisciplinary basic research in the topic “Metal-organic coordination polymers – components of functional materials of new generation”. SCTMS won a grant of Russian Science Foundation. 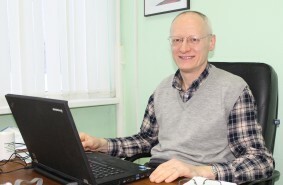 Dr. Eugeny Alexandrov, a senior research scientist, a head of the Laboratory of New Crystal Materials’ Synthesis of Samara State Technical University (SamaraTech) won the grant of the Russian Science Foundation (RSF) under the program “Basic research in groups under the guidance of early-career scientists”. 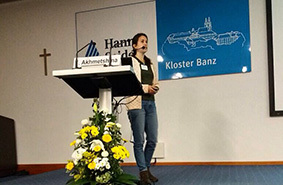 Natalia Kabanova made a report at E-MRS Spring Meeting – 2018. 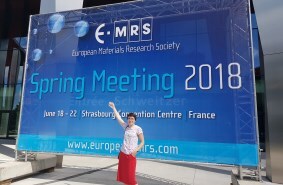 Natalia Kabanova, a senior research scientist of Samara Center for Theoretical Materials Science took part in the European Materials Research Society (E-MRS) conference E-MRS Spring Meeting – 2018 that was held on June 16-22, 2018 in Strasbourg (France). Roman Eremin’s research work in Freiberg. 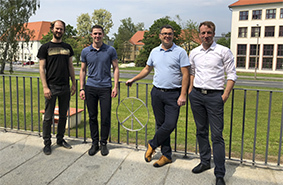 Roman Eremin, a senior research scientist of Samara Center for Theoretical Materials Science returned from Freiberg (Germany) after a long-term mission (May 14 - June 14) to the Institute of Experimental Physics of Freiberg University of Mining and Technology (TU Bergakademie Freiberg, TUBAF). Artem Kabanov took part in the 52nd International School in Erice, Italy. Artem Kabanov, a senior research scientist of Samara Center for Theoretical Materials Science came back from the 52nd International School in Quantum Crystallography that was held in Erice (Italy) on June 1-10, 2018. Quantum crystallography is a field of science employing methods for obtaining crystallographic information and quantum mechanical theory. SCTMS scientists took part in the IX National Crystal Chemistry Conference. 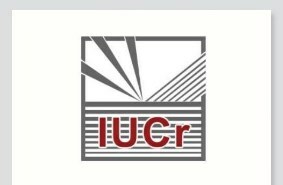 International Union of Crystallography accepted CIF format extension elaborated by SCTMS. Crystallographic Information File (CIF) is a standard text file format for representing crystallographic information, promulgated by the International Union of Crystallography (IUCr). CIF stores diverse information (primarily experimental data) about crystal structures. 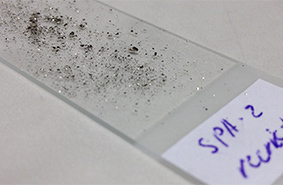 Tatiana Akhmetshina and the research group of Dr. Pavlo Solokha synthesized a new intermetallic structure. Tatiana Akhmetshina, a research assistant of SCTMS, was on long-term mission (From April 16 till My 11) at the University of Genoa (Italy) where she performed synthesis of intermetallides. Results of the second visit of Prof. Blatov to ICDD. On May 15-29, 2018, Prof. Vladislav Blatov was on mission at the International Centre for Diffraction Data (ICDD) in Newtown, Philadelphia, USA. PhD Emanuele Priola interning at SCTMS. From May 8 until June 6, 2018 PhD Emanuale Priola from the University of Turin (Italy) is doing an internship under scientific supervision of Prof. Vladislav Blatov at Samara Center for Theoretical Materials Science (SCTMS). Research paper of SCTMS scientists published in Nature. 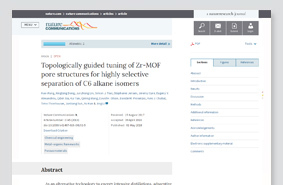 The research paper «Topologically guided tuning of Zr-MOF pore structures for highly selective separation of C6 alkane isomers» (doi: 10.1038/s41467-018-04152-5) has been issued in Nature Communications, a peer-reviewed open access journal published by the Nature Publishing Group. 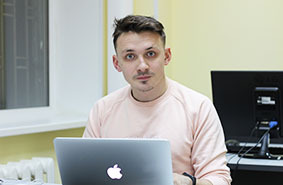 Eugeny Alexandrov participated in docMOF 2018. 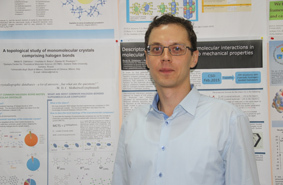 Senior research scientist of SCTMS Dr. Eugeny Alexandrov, Head of the Laboratory of New Crystal Materials’ Synthesis, made a report at the 1st European Doctoral Symposium on Metal-Organic Frameworks held in Raitenhaslach monastery (Germany) from April 29th to May 2nd, 2018. 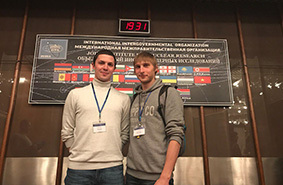 Roman Eremin and Pavel Zolotarev took part in AYSS-2018. SCTMS researchers took part in the XXII International Scientific Conference of Young Scientists and Specialists (AYSS-2018) held on April 23-27, 2018 at Joint Institute for Nuclear Research (JINR, Dubna, Russia). 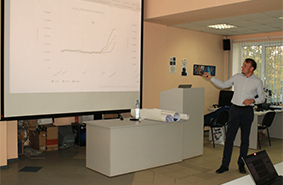 Eugeny Aleksandrov and Aleksandr Shevchenko held a lecture on big data analysis within SciCraft Samara 2018. On April 19, 2018, SCTMS scientists gave the lecture “Big data analysis and new materials design” within the Science Craft School. Audience members learnt specific aspects of working with big data in specific areas of science. 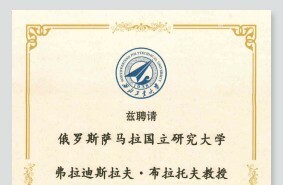 Prof. Blatov took part in Chinese-German Symposium on Ultra-high Temperature Ceramic Matrix Composites. The Northwestern Polytechnic University organized the Chinese-German Symposium «Design Foundation of Oxidation Resistant Ultra-high Temperature Ceramic Matrix Composites Aimed for Structural Applications» on April 14-20, 2018 in Xian (PR China). Albina Gurskaya took part in students and young researchers conference in Tomsk. SCTMS researcher Albina Gurskaya took part in 24th Russian scientific conference for students of Physics and young researchers held on March 31 – April 7, 2018 in Tomsk. 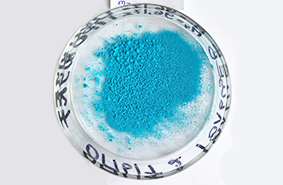 SCTMS at SamaraTech began synthesis of MOFs. SCTMS Laboratory of Novel Crystal Materials’ Synthesis at Samara State Technical University has been launched. Under supervision of the head of the Laboratory Dr. Eugeny Aleksandrov and head of the Department of chemistry and technologies of nitrogen compounds (DCTNC) Dr. Andrey Pimenov the synthesis of first MOFs was successfully conducted. 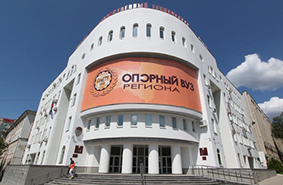 Samara Center for Theoretical Materials Science established at SamaraTech. Samara Center for Theoretical Materials Science has been recently established at Samara State Technical University (SSTU). 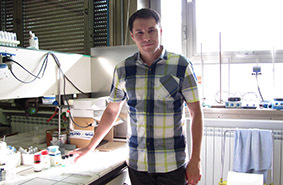 Roman Eremin won a grant of the Russian Foundation for Basic Research. The Russian Foundation for Basic Research supported the application of Dr. Roman Eremin, a senior research scientist of SCTMS Laboratory of Mathematical Modeling of Materials, within research contest for young scientists “My first grant”. His application 18-33-00477 joined the rank of winners. 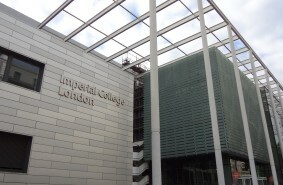 A research project of SCTMS funded by Russian Foundation for Basic Research and Royal Society of London. 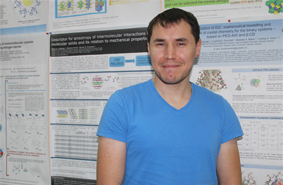 Eugeny Alexandrov, a senior research scientist of SCTMS won a grant of the Russian Foundation for Basic Research (RFBR) and the Royal Society of London. He will work on development of computer design instruments of new microporous materials in cooperation with Dr. Matthew Addicoat (Nottingham Trent University, UK). Research article of SCTMS scientists joined the rank of the most cited articles of the CrystEngComm Journal in 2017. The research paper «How 2-periodic coordination networks are interweaved: entanglement isomerism and polymorphism» of Dr. Eugeny Alexandrov, Prof. Vladislav Blatov and Prof. Davide M. Proserpio is among three most cited reviews dedicated to coordination polymers and metal-organic networks published in CrystEngComm in 2017. 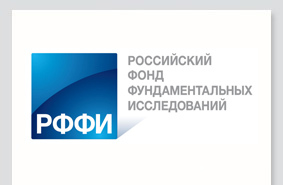 SCTMS team won two grants of Russian Foundation for Basic Research. SCTMS team won two grants of the Russian Foundation for Basic Research (RFBR) within call for proposals 2018 for Russian projects of basic research. SCTMS scientists’ research article published in the Accounts of Chemical Research. 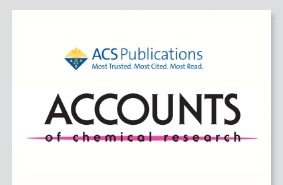 The research article of SCTMS scientists “Topology of intermetallic structures: from statistics to rational design” was published in web-version of the Accounts of Chemical Research (ACR), one of the most cited scientific journals in chemistry. Impact Factor of ACR in 2016 achieved 20.268. Pavel Zolotarev came back from the South Ural State University. 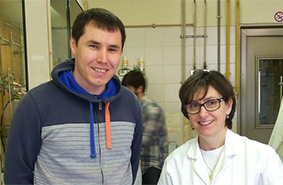 Pavel Zolotarev, a junior research scientist of SCTMS, came back from a short visit to the South Ural State University (SUSU, Chelyabinsk, Russia). Denis Yablokov took part in ANM-2017. Denis Yablokov, a leading engineer of SCTMS, took part in the 12th International Scientific and Technical Conference “Analytical and numerical methods of modeling in natural-science and social issues” that was held on December 4-6, 2017 in Penza, Russia. Pavel Zolotarev presented his dissertation at PhD completion seminar. On December 6, 2017, the meeting of the Department of Physical Chemistry and Chromatography and SCTMS was held. 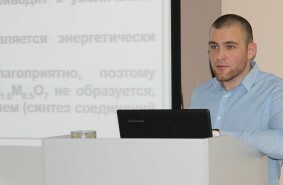 Pavel Zolotarev presented his PhD dissertation at the meeting. The article of SCTMS researchers is among editors’ choices of CrystEngComm. 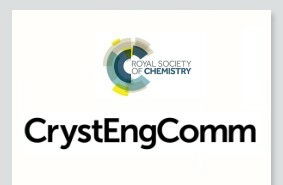 The official blog of CrystEngComm posted the message “Check out our editors’ choice of recent articles” with the list of the most significant articles over the last three years. The article of SCTMS researchers is included in the list. Denis Yablokov’s report acclaimed as the best at NIT-2017. Denis Yablokov, a researcher of SCTMS, came back from the Russian Scientific and Technical Conference of Students, Young Researchers and Specialists “New Information Technologies in Scientific Research” (NIT-2017) that was held in Ryazan on November 15-17, 2017. Lecture “Non-covalent interactions with predominant electrostatic component: halogen, chalcogen, pnictogen, tetrel bonds. Searching for electronic criteria of pnictogen bonds in nitro compounds”. On November 16, 2017 Dr. Ekaterina Bartashevich gave the lecture “Non-covalent interactions with predominant electrostatic component: halogen, chalcogen, pnictogen, tetrel bonds. Searching for electronic criteria of pnictogen bonds in nitro compounds”. 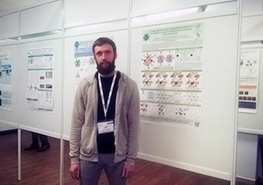 Alexei Krasnov’s report “Development of new functional materials based on doped bismuth titanate with the pyrochlore type structure” at SCTMS. 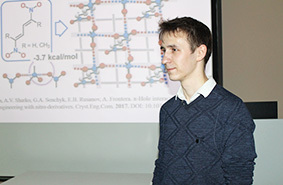 On November 14, 2017 Aleksei Krasnov, a researcher of the Laboratory of Ceramic Materials Science (Institute of Chemistry, Komi Science Center of UB RAS) gave the report “Development of new functional materials based on doped bismuth titanate with the pyrochlore type structure” within his internship at SCTMS. Tatiana Akhmetshina is a prizewinner of the Contest “Student Award2017”. Tatiana Akhmetshina, a laboratory assistant of Samara Center for Theoretical Materials Science, took part in Samara region contest in the field of professional education development “Student Award 2017” and won a prize “Intellect-2017”. The report of Sergei Sobalev “Pnictogen bonds in crystals of organic nitro compounds” . On November 9, 2017 Sergei Sobalev, a research assistant of the Laboratory of multiscale modeling of multicomponent functional materials of South Ural State University, presented the report “Pnictogen bonds in crystals of organic nitro compounds” at SCTMS. Andrey Goltsev and Aleksandr Garin took part in EUROMOF2017. 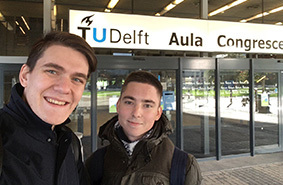 SCTMS research assistants, Andrey Goltsev and Aleksandr Garin came back from the Delft Technical University (the Netherlands) where they took part in the 2nd European Conference on Metal Organic Frameworks and Porous Polymers (EUROMOF2017). Research work of Prof. Vladislav Blatov and Dr. Olga Blatova in Italy. From October 28 until November 6, 2017 Prof. Vladislav Blatov and Dr. Olga Blatova, a senior research scientist, have been working in the universities of Milan and Florence (Italy) within Mega-grant of the Government of the Russian Federation. Business trip of Prof. Vladislav Blatov to China. From September 26 until October 25, 2017 Prof. Vladislav Blatov has been working at the Northwestern Polytechnic University (NWPU, Xian). 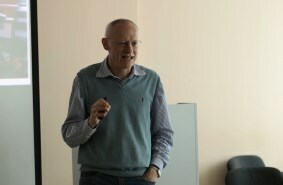 Except academic activities Prof. Blatov conducted negotiations and lectured at the International school “Topological Methods in Materials Science”. International scientific school “Topological Methods in Materials Science 2017”. 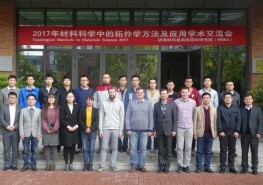 The International school “Topological Methods in Materials Science” conducted on October 13-15, 2017 in Guangyang district of Lanfang, Hebei Province of China has concluded its work. The school was the first official event held in newly constructed scientific center – technopolis and business incubator TusPark of Tsinghua University. 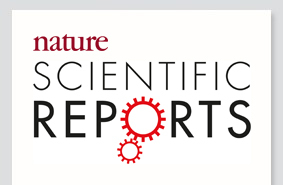 SCTMS members published research paper in Scientific Reports. The results of the research work conducted by SCTMS staff members in cooperation with the University of Pavia (Italy) and the University of Vienna (Austria) were published in Scientific Reports, one of the most prestigious scientific journals from the publishers of Nature. Artem Kabanov presented a plenary report at the conference of All-Russian Institute of Aviation Materials. 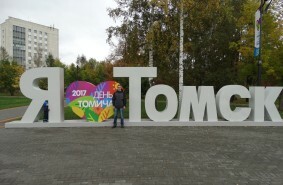 SCTMS staff members (Dr. Artem Kabanov, Dr. Roman Eremin and Prof. Alexander Krutov) took part in the Russian national scientific and technical conference “Modern developments in metal science, casting technology, deformation, heat treatment and corrosion protection of light metal alloys”. Pavel Zolotarev and Roman Eremin came back from the 21st International Scientific Conference of Young Scientists and Specialists of JINR. 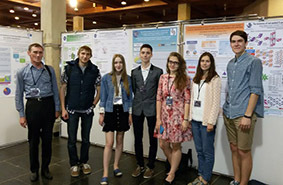 SCTMS researchers took part in the 21st International Scientific Conference of Young Scientists and Specialists organized by the Association of Young Scientists and Specialists (AYSS) of the Joint Institute for Nuclear Research (JINR, Dubna). Tatiana Akhmetshina reported at the Intermetallics 2017. On October 2-6, 2017, Bad Staffelstein (Germany) gathered together experts in chemistry of intermetallics for the International Conference and School Intermetallics 2017. Tatiana Akhmetshina made an oral contribution to the conference program. Artem Kabanov participated in the International School on LOBSTER program. 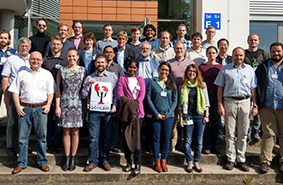 On September 25-29, the International School “Explicit Chemical-Bonding Analysis of Materials from High-Performance First-Principles Simulations” on research methods of chemical bonds applying LOBSTER computer program was held in Jülich, Germany. 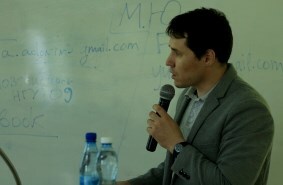 Dr. Artem Kabanov, a senior research scientist of SCTMS, took part in the school. Roman Eremin took part in MSSC2017. Roman Eremin, a researcher of Samara Center for Theoretical Materials Science, took part in MSSC 2017 “Ab initio Modelling in Solid State Chemistry” that was held on September 18-22, 2017 in London. Artem Kabanov reported on NGC2017. Dr. Artem Kabanov took part in the International Forum “Nano & Giga Challenges in Electronics, Photonics and Renewable Energy” (Nano & Giga Forum) that was held on September 18-22, 2017 in Tomsk concurrently with the Conference “Current Trends in Radio Physics”. Elizaveta Timofeeva is a prizewinner in the poster competition at the First International Conference on Intellect-intensive Technologies in Power Engineering. 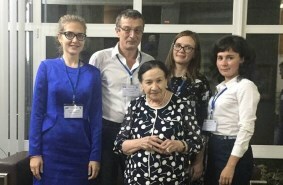 Elizaveta Timofeeva, a research assistant of SCTMS, took part in the First International Conference on Intellect-intensive Technologies in Power Engineering (physical chemistry and electrochemistry of molten and solid electrolytes) that was held on September 18-22 in Yekaterinburg, Russia. Tatiana Akhmetshina and Andrey Goltsev joined the ranks of 300 best students and postgraduates of Russia. Research assistants of SCTMS Tatiana Akhmetshina and Andrey Goltsev became scholars of the Russian Federation President. The Selection Committee of the Ministry of Education and Science of Russia published the list of winners who showed considerable academic and scientific achievements. Prof. Davide M. Proserpio and Dr. Eugeny Alexandrov took part in IWSN2017. The International school for young researchers “Smart Nanomaterials” was held on September 11-15, 2017 in Rostov-on-Don. Prof. Davide M. Proserpio participated as an invited speaker; Dr. Eugeny Alexandrov was among the participants. Andrey Golov and Pavel Zolotarev came back from «EuCo-TCC 2017». 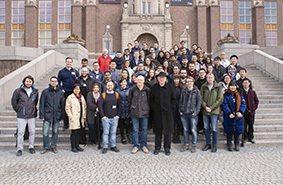 SCTMS researchers, Andrey Golov and Pavel Zolotarev participated in the 11th European Conference on Theoretical and Computational Chemistry (EuCo-TCC). 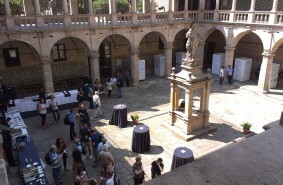 The conference was held on September 4-7, 2017 in Barcelona (Spain). 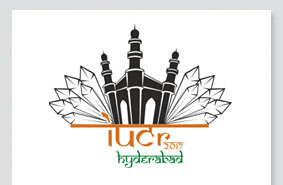 The Congress and General Assembly of the International Union of Crystallography 2017 (Hyderabad, India). 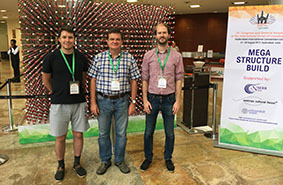 Prof. Vladislav Blatov and Dr. Eugeny Alexandrov took part in the XXIV Congress and General Assembly of the International Union of Crystallography 2017 (IUCr). The Congress was held in Hyderabad International Convention Center on August 21-28, 2017. Elizaveta Timofeeva took part in ECSSC 2017. 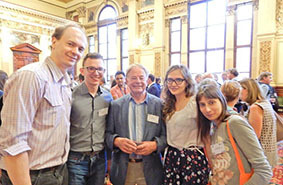 Elizaveta Timofeeva took part in the 16th European Conference on Solid State Chemistry (ECSSC) held on July 23-26, 2017 at the University of Strathclyde in Glasgow. Ekaterina Kuznetsova participated in FEZA 2017. Ekaterina Kuznetsova, a research assistant of SCTMS, took part in the 7th FEZA Conference “The ZEOLITES: Materials with Engineered Properties” that was held on July 3-7, 2017 in Sofia (Bulgaria). 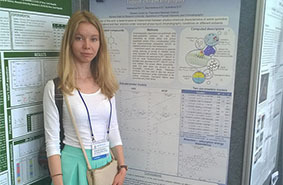 Nadezhda Nekrasova took part in the HPLC 2017. 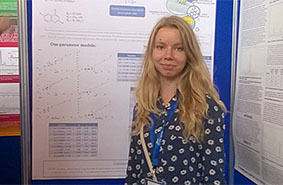 Nadezhda Nekrasova took part in the 45th International Symposium on High Performance Liquid Phase Separations and Related Techniques (HPLC 2017, Prague, Czech Republic). 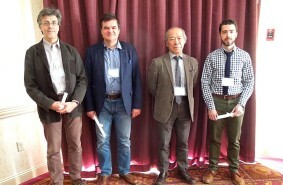 Prof. Davide M. Proserpio reported on American Chemical Society National Meeting. 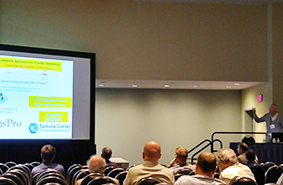 Prof. Davide M. Proserpio delivered an oral report on the 254th National Meeting and Exposition of the American Chemical Society held on August 20-24, 2017 in Washington. Prof. Davide Proserpio and Andrey Golov participated in ACNS’2017. Prof. Davide M. Proserpio and Andrey Golov participated to the ACNS'2017, 13th International Conference on Advanced Carbon NanoStructures, held in Saint Petersburg on July 3-7, 2017. Three researchers of SCTMS are winners of the contest “Young researcher – 2017”. 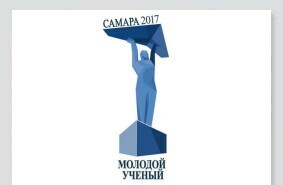 Tatiana Akhmetshina, Nadezhda Nekrasova and Artem Kabanov became winners of Samara regional contest “Young researcher – 2017”. 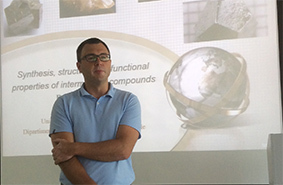 Open lectures of Dr. Pavlo Solokha on Crystal Chemistry of Intermetallics at SCTMS. Dr. Pavlo Solokha (Department of Inorganic and Industrial Chemistry, the University of Genoa, Italy) gave the first open lecture at SCTMS (1, Akademik Pavlov St.). 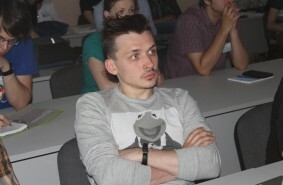 D. Sineglazov gave the report “Modelling of magnetoelastic effect in copper beryllium alloys”. On July 11, 2017 D.S. 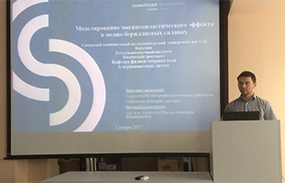 Sineglazov, an expert in modelling with density functional method, presented the report “Modelling of magnetoelastic effect in copper beryllium alloys” at Samara Center for Theoretical Materials Science. The authors: Prof. A.V. 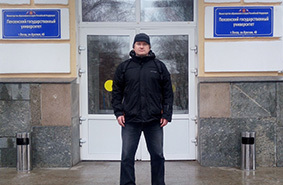 Pokoev - head of the department of solid state physics, D.S. 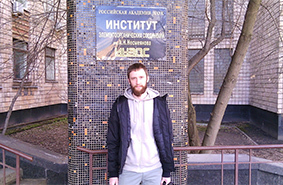 Sineglazov – a graduate of the master’s degree program “Condensed matter physics”. 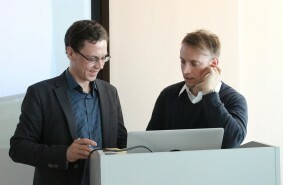 Dr. Tilmann Leisegang and Dr. Pavlo Solokha in SCTMS. 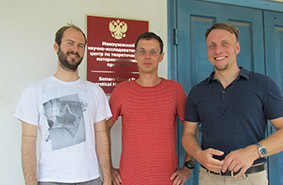 Dr. Tilmann Leisegang (TUBAF, Germany) and Dr. Pavlo Solokha (Department of Inorganic and Industrial Chemistry, the University of Genoa, Italy) arrived to Samara Center for Theoretical Materials Science on long-term visits. Prof. Davide Proserpio in Samara. Scientific advisor of the Russian Government’s Megagrant, Prof. Davide Proserpio arrived to SCTMS on a working visit. His mission will last from June 26 till July 2, 2017.
International school “ToposPro & 13th USPEX Workshop”: the outcomes. The International school “ToposPro & 13th USPEX Workshop” conducted on June 16-20, 2017 in Shanghai has concluded its work. The school provided the participants with a unique opportunity to become familiar with the two advanced software packages being currently applied in materials science. PhD student from Skoltech conducted research at SCTMS. 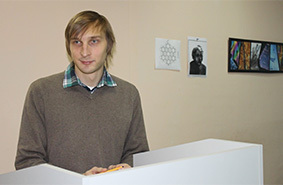 Artem Samtsevych, a PhD student of Skolkovo Institute of Science and Technology (Skoltech) and a member of the Laboratory of Computational Materials Design USPEX, has worked at Samara Center for Theoretical Materials Science. His 10-day research trip was focused on advanced study of ToposPro software package. Research trip of Eugeny Alexandrov in Milan. Dr. Eugeny Alexandrov, a senior researcher of SCTMS, came back from the research trip to the University of Milan (Italy). From April 2 to May 20, 2017, he worked at the Laboratory of Dr. Lucia Carlucci and jointly with Prof. Davide M. Proserpio conducted the workshop on ToposPro at one of the European research centers. Tatiana Akhmetshina studied intermetallides in Genoa (Italy). Tatiana Akhmetshina, SCTMS researcher, came back from the research trip to the University of Genoa (Italy). 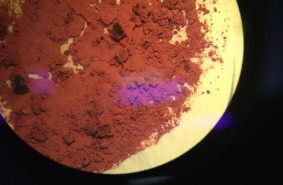 The goal of her visit was to conduct research and synthesis of intermetallic compounds jointly with Dr. Pavlo Solokha, Associate Professor of the Department of Chemistry and Industrial Chemistry, and his research team. Workshop on ToposPro in Switzerland. 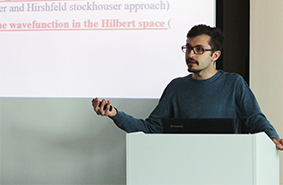 Prof. Davide M. Proserpio and Dr. Eugeny Alexandrov conducted a three days’ workshop on ToposPro at the Laboratory of Modelcular Simulation of École Polytechnique Fédérale de Lausanne EPFL Valais Wallis (Sion, Switzerland). 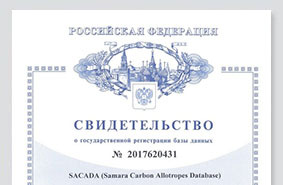 State registration of Samara Carbon Allotropes Database. Samara Carbon Allotropes Database has been registered by Federal Service for Intellectual Property (Rospatent). The database contains data about all known 3-periodic carbon allotropes based on all available research papers from scientific databases Web of Science and Scopus. 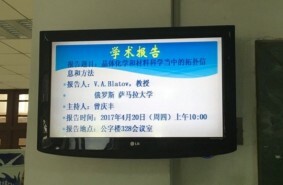 Prof. Blatov began lecturing at the Northwestern Polytechnical University (China). 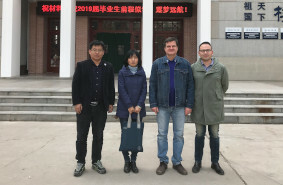 Prof. Blatov came back from a working visit to the Northwestern Polytechnical University (NPU, Xian, Shaanxi, China). During his visit (April 12-25, 2017) he began the lecture course in crystal chemistry and outlined the plan of research work with students of NPU. 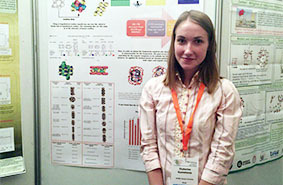 Tatiana Akhmetshina is a winner of Samara Regional Student Scientific Conference. 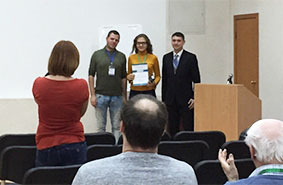 Tatiana Akhmetshina, a SCTMS researcher, took the first place at the 43rd Samara Regional Student Scientific Conference with the report “Nanocluster analysis of intermetallides: collection of nanocluster topological types (TTN) and its application” (scientific adviser – Prof. Vladislav Blatov) presented at the session “Physical, analytical chemistry and chromatography”. 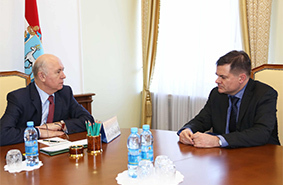 Samara Region Governor Nikolai Merkushkin had a meeting with SCTMS director Prof. Vladislav Blatov. On April 4, 2017, Samara Region Governor Nikolai Merkushkin had a meeting with the director of Samara Center for Theoretical Materials Science Prof. Vladislav Blatov. The first article with SCTMS participation published in Nature!. 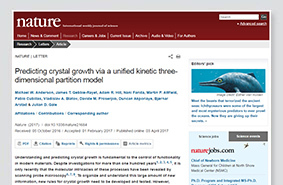 Today, on April 3, 2017 an article was published with the participation of the SCTMS researchers "Predicting crystal growth via a unified kinetic three-dimensional partition model" in the oldest and influential international journal of science “Nature”. Research trip to INEOS RAS. 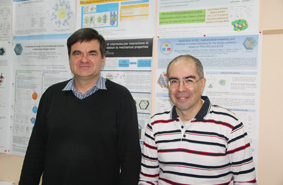 Eugeny Alexandrov and Andrey Golov, SCTMS researchers, came back from A.N. 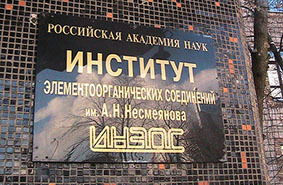 Nesmeyanov Institute of Organoelement Compounds of Russian Academy of Sciences (INEOS RAS). During March 20-24, SCTMS researchers worked at integration of instruments for electron density and atomic interaction analysis to the expert system. 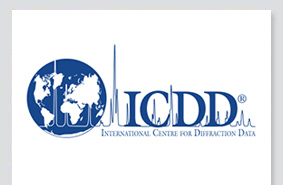 Cooperation with the International Centre for Diffraction Data (ICDD, USA). 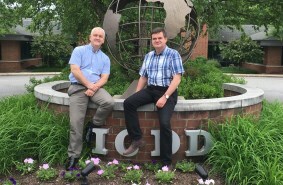 Professor Vladislav Blatov took part in the 2017 Spring Meetings of the International Centre for Diffraction Data (ICDD, USA). His participation has resulted in preliminary agreement on inclusion of topological information into databases of ICDD and Prof. Blatov’s membership in the ICDD. Falk Meutzner will be enrolled in a Ph.D. program. 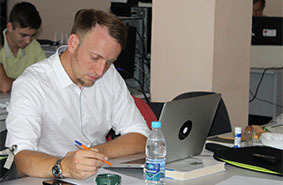 At present the application documents of Falk Meutzner, the researcher of TU Bergakademie Freiberg (TUBAF, Germany), is in progress for enrollment in the Ph.D. program of Samara University. Professor Vladislav Blatov will be the scientific supervisor of Mr. Meutzner. Dr. Tilmann P. Leisegang arrived to SCTMS on a working visit. Dr. Tilmann Leisegang (TU Bergakademie Freiberg) arrived to SCTMS on a ten-day working visit. He will stay in Samara till March 4, 2017. Prof. Vladislav Blatov made a report at the All-Russian Scientific Research Institute of Aviation Materials. On February 21, 2017, the director of Samara Center for Theoretical Materials Science Prof. Blatov made a report at the All-Russian Scientific Research Institute of Aviation Materials (VIAM). 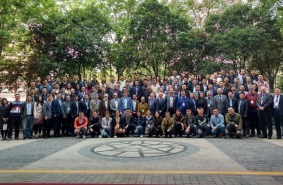 The Conference of SCTMS researchers. On February 15, 2017, the scientific conference of SCTMS researchers was held. SCTMS researchers presented their projects and studies, which are being implemented within nine areas. Prof. Davide M. Proserpio arrived to SCTMS on a working visit. Scientific advisor of Samara Center for Theoretical Materials Science Prof. Proserpio arrived to Samara on a weeklong working visit. Prof. Blatov will give a plenary lecture at ICDD Spring meetings-2017. The organizing committee of the International Centre for Diffraction Data (ICDD) Spring Meetings invited Prof. Blatov to give a plenary lecture. SCTMS researcher is a winner of Samara Region Governor Award. 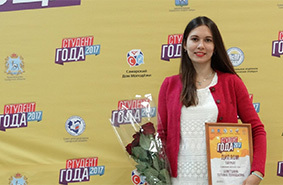 Tatiana Akhmetshina, one of the young researchers of Samara Center for Theoretical Materials Science, won the prize of Samara Region Governor for her achievements in scientific work. 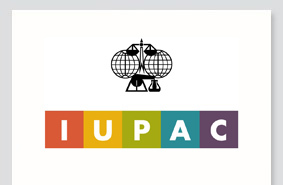 Vladislav Blatov invited as a keynote speaker at the 24th Congress and General Assembly of the International Union of Crystallography. The director of SCTMS Prof. Vladislav Blatov will represent Russia as a keynote speaker at the 24th Congress and General Assembly of the International Union of Crystallography. 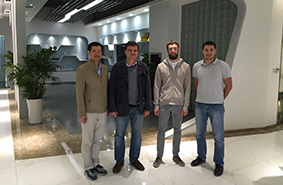 Eugeny Alexandrov and Andrey Golov came back from research trip to INEOS RAS..
Eugeny Alexandrov and Andrey Golov, SCTMS researchers, were conducting research at A.N. Nesmeyanov Institute of Organoelement Compounds of Russian Academy of Sciences (INEOS RAS) on December 1-9, 2016. 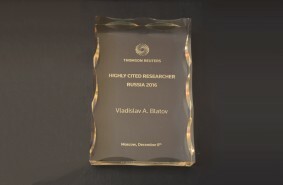 Prof. Vladislav Blatov won Highly Cited Researcher Russia Award-2016. Prof. Blatov became a winner of Highly Cited Researcher Russia Award-2016 and joined the rank of the most influential Russian scientists who greatly contributed to the Russian science development in 2016. Conference of the Russian Science Foundation grantholders. 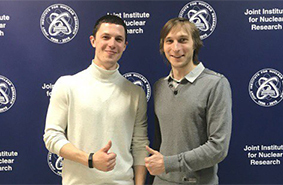 Eugeny Alexandrov came back from the scientific conference of the Russian Science Foundation grantholders “Fundamental chemical researches in the 21st century” that has been conducted at N.D. Zelinsky Institute of Organic Chemistry of the Russian Academy of Sciences (Moscow) on November 20-24, 2016. Dr. Tilmann Leisegang visited SCTMS. Dr. Tilmann Leisegang has been visited Samara Center for Theoretical Materials Science on November 19-23, 2016. During his short-term visit, he extended employment contract with Samara University till November 2017 and continued discussion of results of the joint research of sodium solid electrolytes. 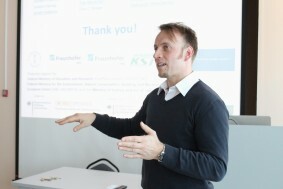 Dr. Tilmann Leisegang gave a lecture on Na-S batteries and energy storage issues. On October 21, 2016, Dr. Tilmann Leisegang gave the lecture «Identification and assessment of Na+ solid electrolytes» at Samara Center for Theoretical Materials Science. Grigory Ilyushin has arrived to SCTMS. On October 18, 2016 Dr. Grigoriy Ilyushin, a leading research worker of the Federal Scientific Research Center “Crystallography and Photonics” of the Russian Academy of Sciences, arrived to Samara Center for Theoretical Materials Science to conduct joint research work. 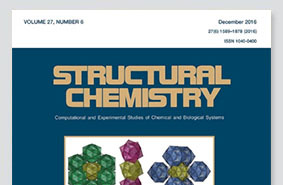 Anniversary Issue of Structural Chemistry edited by Prof. Vladislav Blatov. The edition of Structural Chemistry Journal (IF 1.854, Springer Publishing) dedicated to the anniversary of Director of Silicate Chemistry Institute of the Russian Academy of Sciences, a member of RAS Prof. Vladimir Shevchenko was issued. 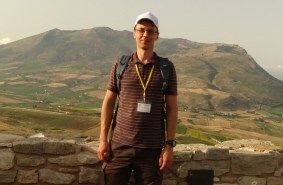 SCTMS researchers have been fruitfully cooperating with Prof. Vladimir Shevchenko for ten years. Dr. Tilmann Leisegang arrived to SCTMS on a working visit. Dr. Tilmann Leisegang (TU Bergakademie Freiberg, Germany) arrived to Samara Center for Theoretical Materials Science on a 10-day visit. 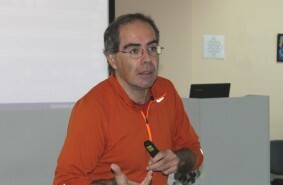 Dr. Giuseppe Fadda gave a lecture on computations of electronic structure of solids. On October 12, 2016, Dr. Giuseppe Fadda gave the lecture «Computations of electronic properties of solids using DFT» at Samara Center for Theoretical Materials Science. Dr. Giuseppe Fadda arrived to SCTMS on a working visit. Dr. Giuseppe Fadda (the University of Padova, Italy) arrived to SCTMS on a working visit. He will stay in Samara for two weeks. Conference on energy conversion in lithium electrochemical systems and satellite school in Suzdal. 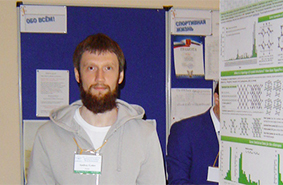 Prof. Vladislav Blatov, Artem Kabanov and Roman Eremin took part in the XIV International conference "Topical problems of energy conversion in lithium electrochemical systems” on September 11 – 15, 2016 in Suzdal, Russia. Artem and Roman also participated in satellite school on electrochemical energy storage. 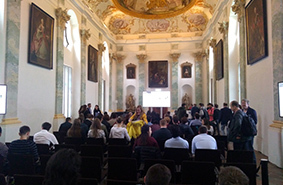 “Science of Future”: four oral reports and eight poster presentations. Samara Center for Theoretical Materials Science took part in the 2nd International scientific conference “Science of future” that was held on September 20-23, 2016 in Kazan Federal University (Kazan, Russia). The International scientific school on VASP and International Conference on Advanced Materials Modelling (ICAMM). 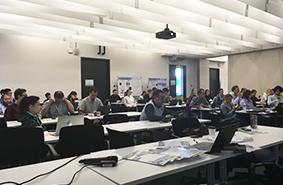 Roman Eremin and Artem Kabanov participated in the International scientific school on the Vienna Ab-initio Simulation Package (VASP) and the International Conference on Advanced Materials Modelling (ICAMM). Both scientific events took place from August 31 to September 7, 2016 in Rennes (France). SCTMS delegation came back from the ECM-30. Six researchers of Samara Center for Theoretical Materials Science took part in the 30th Meeting of the European Crystallographic Association (ECM-2016) that was held from August 28 to September 1, 2016 in Basel, Switzerland. Pavel Zolotarev came back from the AIC school 2016. 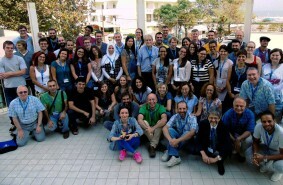 Pavel Zolotarev took part in the AIC International Crystallography School 2016: "Polymorphism, stability and phase transitions in crystals: theory, experiments, and applications" that was conducted on September 7-11, 2016 in Rimini (Italy). 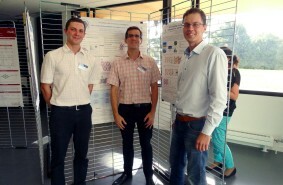 Two researchers of SCTMS took part in the European Conference on Python in Science. 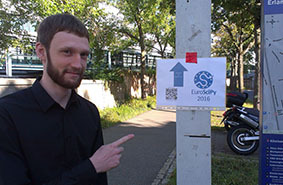 Andrey Golov and Pavel Zolotarev participated in the European Conference on Python in Science that took place on 23-27 of August in Erlangen (Germany). Nadezhda Nekrasova took part in the ISC 2016. Nadezhda Nekrasova, SCTMS researcher, came back from the 31st International Symposium on Chromatography (ISC2016). The Symposium took place from August 28 until September 1, 2016 at the University College Cork (Cork, Ireland). SACADA – the world’s first database of 3-periodic carbon allotropes. 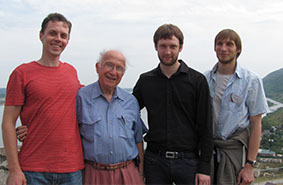 In July 2016, Samara Center for Theoretical Materials Science researchers jointly with the Nobel laureate in Chemistry Prof. Roald Hoffmann (Cornell University, USA) published a scientific article in one of the most prestigious peer-reviewed chemistry journals – “Angewandte Chemie” (impact factor 11.7). In the article, the scientists presented the world’s first database of 3-periodic carbon allotropes - SACADA (Samara Carbon Allotrope Database). German colleagues have delivered a course of lectures. 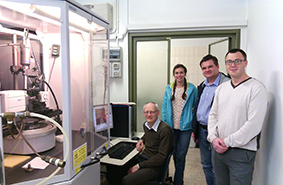 The researchers of the Institute of Experimental Physics of Freiberg University of Mining and Technology (TUBAF, Germany) Dr. Tilmann Leisegang and Falk Meutzner have delivered a course of lectures “An introduction to crystallography: Through the diverse world of crystalline matter towards solid electrolytes”. German researchers have come to SCTMS. 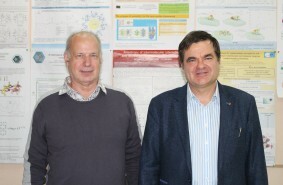 Within cooperation with Freiberg University of Mining and Technology (TUBAF, Germany) the researchers of the Institute of Experimental Physics of TUBAF Dr. Tilmann Leisegang and Falk Meutzner have come to Samara Center for Theoretical Materials Science. The International Scientific School “Combined Topological and DFT Methods for Prediction of New Materials II”: results. 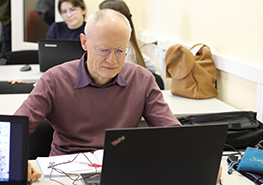 Samara Center for Theoretical Materials Science successfully conducted the International Scientific School “Combined Topological and DFT Methods for Prediction of New Materials II”. 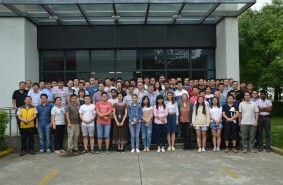 During the first ten days of July SCTMS held two scientific and academic events: the International workshop “Applications of topological methods in materials science” (July 1-2) and the International scientific school (July 4-10). Samara Center for Theoretical Materials Science is holding the International Scientific School “Combined Topological and DFT Methods for Prediction of New Materials II”. 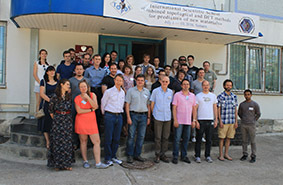 The International Scientific School “Combined Topological and DFT Methods for Prediction of New Materials II” has begun its work at Samara Center for Theoretical Materials Science. The school continues the project initiated in 2015. Prof. Vladislav Blatov concluded contract with the Northwestern Polytechnical University (Xian, Shaanxi, China). Director of Samara Center for Theoretical Materials Science has become a professor of the School of Materials Science and Engineering of the Northwestern Polytechnical University (Xian, Shaanxi, China). International workshop “Applications of topological methods in materials science” (July 1-2, 2016). Samara Center for Theoretical Materials Science has held the International workshop “Applications of topological methods in materials science”. 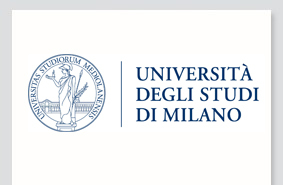 Research work of Eugeny Alexandrov in Milan University (Italy). Dr. Eugeny Alexandrov, the researcher of Samara Center for Theoretical Materials Science, came back from the long-term scientific visit to Milan (Italy). During April 1 - May 29, 2016, he has been working at the Laboratory of Prof. Lucia Carlucci at the University of Milan. SCTMS delegation took part in the national conference in Suzdal. From May 30 to June 3, 2016 the 8th National Crystal Chemical Conference was held in Suzdal. Ten researchers of Samara Center for Theoretical Materials Science took part in the conference. Prof. Vladislav Blatov received Scopus Award Russia-2016. Director of Samara Center for Theoretical Materials Science Prof. Vladislav Blatov received Scopus Award Russia-2016 “For outstanding contribution to Chemistry”. Dr. George Kostakis gave a lecture on synthesis and application of polynuclear coordination clusters. On May 11, 2016 Dr. George Kostakis gave the lecture «3d/4f polynuclear coordination clusters in catalysis» at SCTMS conference hall. Dr. Victor Yushankhai gave a lecture on new materials for solar cells. Dr. Victor Yushankhai (JINR, Dubna, Moscow region) presented the report “Hybrid organic-inorganic perovskites for next generation solar cells” at Samara Center for Theoretical Materials Science. Dr. Giuseppe Fadda gave a lecture on advanced calculation methods of elastic properties of solids. 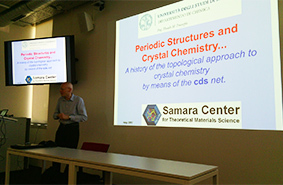 On April 21, 2016 Dr. Giuseppe Fadda gave the lecture “Ab initio calculations of elastic properties of crystalline solids: theory and practice” at Samara Center for Theoretical Materials Science. Professional trip of Prof. Vladislav Blatov (March, 6 – April 7, 2016, Italy). From March 6, 2016 to April 7, 2016 Prof. Blatov was on a long-term professional trip to Italy where he visited the University of Milan and the University of Padua. During his trip he managed to outline new dimensions of cooperation with European universities, updated the software being developed by the SCTMS staff, performed experimental theoretical calculations and scheduled new scientific publications. 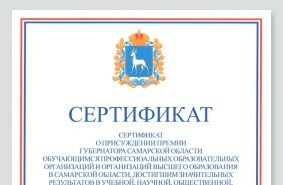 Grant of Russian Science Foundation. 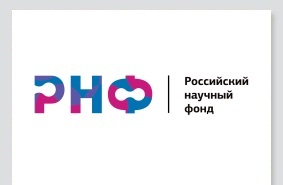 Russian Science Foundation (RSF) has summarized the results of the competition to receive grants for the priority area of the RSF’s activities “Basic scientific research and exploratory scientific research, conducted by research teams”. 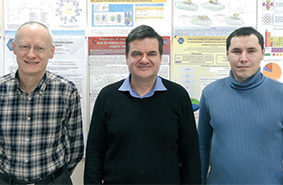 Samara Center for Theoretical Materials Science has won 5-year grant for the project “Hybrid topological and quantum-chemical prediction methods of adsorption, catalytic and sensory properties of microporous framework and low-dimensional materials”. State registration of Topological Types Collections Online. 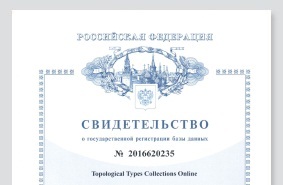 The online version of Topological Types Collections has been registered by Federal Service for Intellectual Property (Rospatent). The database contains information about the topology of atomic nets in structures of chemical compounds, as well as the topology of the model nets. The database also stores correlations discovered between topological types and reference codes of crystalline structures in which there are certain topological types. 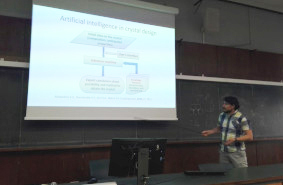 Giuseppe Fadda gave a lecture on evolutionary algorithms for the prediction of crystalline structures. 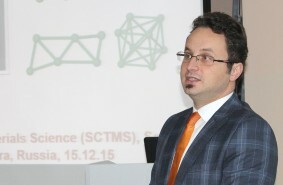 On February 26, 2016 Dr. Giuseppe Fadda gave the lecture “Evolutionary algorithms for the prediction of crystalline structures: an overview” at SCTMS conference hall. 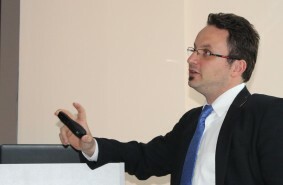 Dr. Tilmann Leisegang gave a lecture on future of energy. On February 10, 2016 Dr. Tilmann Leisegang gave a lecture “Electrochemical energy storage in the context of the energy transition – contributions of crystallography to resource-efficient new all-solid-state batteries” at Samara Center for Theoretical Materials Science. State registration of Topological Types of Crystal Structures (TTСS). Recently, the Topological Types of Crystal Structures (TTСS) collection has been registered. The collection contains complete information on the underlying nets, as well as samples of crystal structures from which the nets are derived. The collection is ToposPro readable. 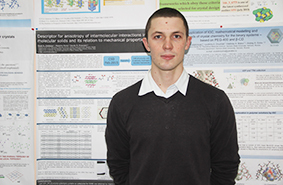 Artem Kabanov won a grant of the Russian Foundation for Basic Research. 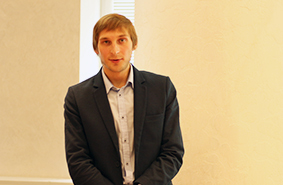 Research fellow of Samara Center for Theoretical Materials Science Artem Kabanov (Ph.D. in Physics and Mathematics) won support of the Russian Foundation for Basic Research within the program “My first grant”. His application №16-32-00296 is in approved grants list. The project title is “Complex physical and chemical modeling of mechanical properties and processes of interstellar dust grain coagulation of various chemical compositions in protoplanetary clouds”. The Russian Government Council on Grants has extended funding of Samara Center for Theoretical Materials Science from federal budget resources. SCTMS has already received an official notice on the Mega-grant extension from the Department of Science and Technology of the Ministry of Education and Science of Russia. Currently, a respective addendum to the grant agreement is being prepared. 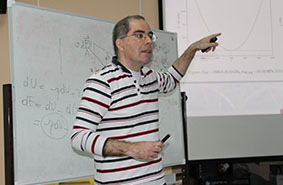 Eugeny Alexandrov won a grant of the Russian Foundation for Basic Research. The application № 16-37-00147 prepared by a research fellow of Samara Center for Theoretical Materials Science Eugeny Alexandrov has been supported by the Russian Foundation for Basic Research. The grant project title is “Knowledge database on structure and physical properties of crystal coordination polymers”. Research paper of Samara and Novosibirsk scientists has been published in Chemical Reviews. 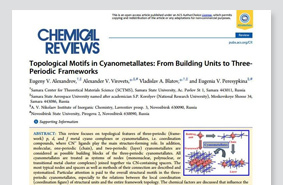 The research paper “Topological motifs in cyanometallates: from building units to three-periodic frameworks” was published in Chemical Reviews in October, 2015. The authors of the paper are Eugeny V. Alexandrov (Samara State Aerospace University, Samara), Alexander V. Virovets (A.V. 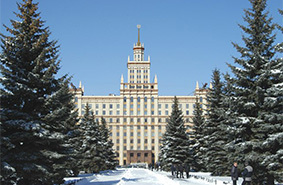 Nikolaev Institute of Inorganic Chemistry, Novosibirsk), Vladislav A. Blatov (Samara State Aerospace University, Samara), and Eugenia V. Peresypkina (A.V. 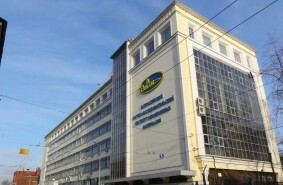 Nikolaev Institute of Inorganic Chemistry, Novosibirsk). 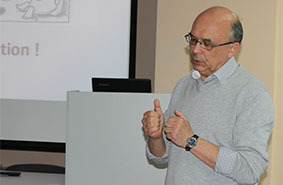 Dr. George Kostakis gave a lecture on modern coordination chemistry. 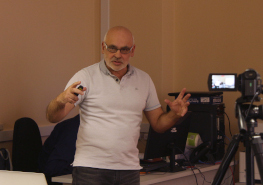 Dr. George Kostakis (the University of Sussex, the UK) gave a lecture “Modern perspectives in 3d/4f coordination chemistry” at Samara Center for Theoretical Materials Science on December 15, 2015. 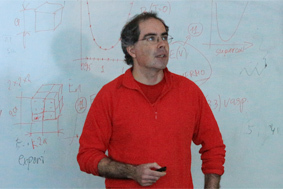 Giuseppe Fadda gave a lecture on symmetry in materials science. 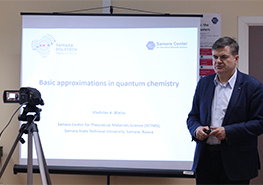 On October 14, 2015 Samara Center for Theoretical Materials Science held scientific seminar. At the seminar Giuseppe Fadda from the University of Padova (Italy) gave a lecture “Symmetry in materials science: informal discussion”. International scientific school “Combined Topological and DFT Methods for Prediction of New Materials”. 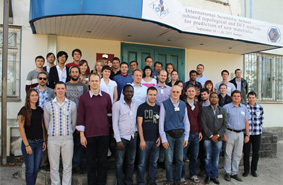 From 15th to 20th of September, 2015 the International scientific school “Combined Topological and DFT Methods for Prediction of New Materials” was held at Samara State University. 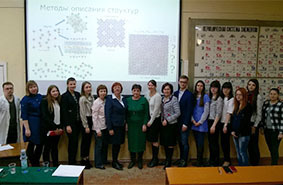 Samara Center for Theoretical Materials Science (SCTMS), Samara State University and the International Union of Crystallography organized the school. SCTMS research fellow is “Intellect-2015” prize winner. 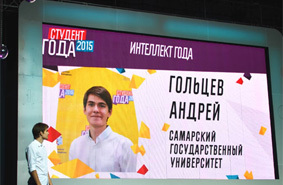 Andrey Goltsev, a laboratory assistant of Samara Center for Theoretical Materials Science, took part in a prestigious contest in the field of professional education development of Samara region “2015 Student Award” and won a prize “Intellect-2015”. The 14th Session of the V.A. Fock meeting on quantum and Computational Chemistry. On August 18-22, 2014 the 14th Session of the V.A. Fock Meeting on Quantum and Computational Chemistry “Bridging the Gap between Solid State Quantum Chemistry and Structural Chemistry of Allotropes” was held in Samara. This session was organized by Samara Center for Theoretical Materials Science (SCTMS) and Samara State University (SSU). International scientific school “Topological methods for expert systems in materials science”. 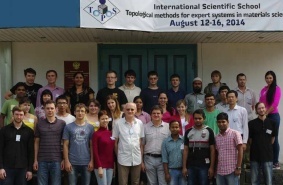 The International scientific school «Topological methods for expert systems in materials science» was conducted by Samara Center for Theoretical Materials Science from 12th to 16th of August, 2014. 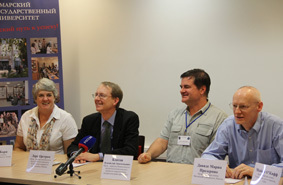 The school attracted young and experienced researchers from Russian, Brazil, India, China, Poland and Saudi Arabia. The participants represented Indian Institute of Technology (Kanpur, Indore, Dehli), Indian Institute of Technology Guwahati Assam, Northwestern Polytechnical University (China), King Abdulaziz University Jeddah (Saudi Arabia), University of Sao Paulo (Brazil), Wroclaw University of Technology (Poland), Moscow Institute of Physics and Technology and others. The first All-Russian scientific school “Topological methods in crystal chemistry and materials science”. 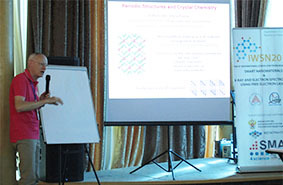 From 3rd to 7th of February, 2014 All-Russian scientific school “Topological methods in crystal chemistry and materials science” was held in Samara. 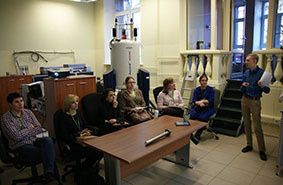 The school became the first school on materials science which was conducted in Russia. 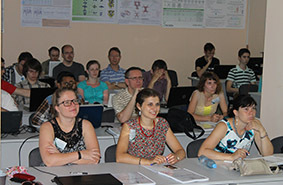 The scientific school was organized by Samara Center for Theoretical Materials Science and hosted by Samara State University.